Lauren Antonelli ’16 entered Hopkins a timid freshman, but by taking advantage of the artistic opportunities that the school offers, she has evolved into a dynamic force on The Hill. Her interests in music have also grown, leading her to compose her first piece last year. From this, she continued on to compose about half of Spirens’ current repertoire. During her sophomore year, Antonelli took the standard English 10 course. It was during this class that she was inspired to write creatively, leading her to take a Short Stories and Memoirs class the following year. “I feel like I can express myself most through creative writing. I learned that it was more important to write for me than for other’s entertainment,” explained Antonelli. This mentality has also carried into her personality, allowing her to be whoever makes her happy, regardless of what others think. Along the way, Antonelli gained inspiration from comedy writers, in particular Tina Fey, leading her to write more comedically. 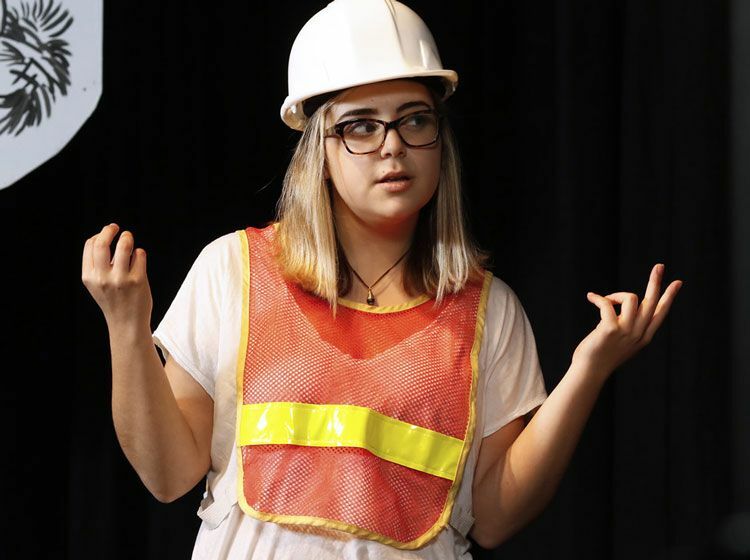 Now, looking into the future, Antonelli plans to pursue her comedic writing in college.